Contact us for motorbike tour to Rajasthan available in all budgets and durations. 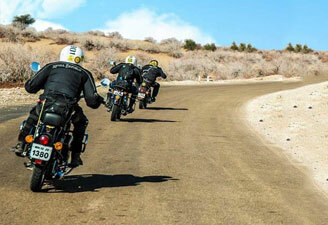 Ride through this royalty oozing state on a Royal Enfield Bullet Motorcycle. We have weaved together some beautiful places in our motorbike tour to royal Rajasthan which tell you a lot about its history, cultures and heritage. Adventure motorbike tour to Rajasthan is a great way to ditch the ordinary and witness its incredible gems like a local. 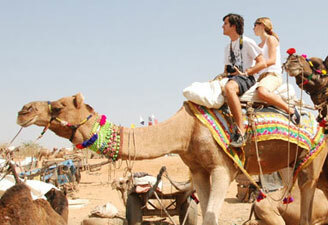 Group vacationers love to opt for Rajasthan motorcycle tours. We arrange all required permits and offer well maintained vehicles for a perfect Rajasthan bike trip. Arrive Delhi by International Flight. Meeting and assistance on arrival and transfer to hotel. Collect your bikes & check bike functions. Start motorbike tour to Rajasthan early in the morning to avoid city traffic on your drive to Jaipur. On arrival in Jaipur, check-in at hotel. After lunch, explore the pink city-its majestic forts, its beautiful havelis, colorful bazaars and rich culture as a part of our motorbike tour to Rajasthan. Visit to the Maharaja's City Palace, the former Royal residence, part of it converted into a museum. A small portion is still used by the Royal family of Jaipur. 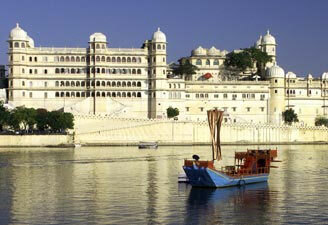 Built in the style of a fortified campus, the palace covers almost one-seventh in area of the city. One of the major attractions in the museum is the portion known as Armory Museum housing an impressive array of weaponry-pistols, blunderbusses, flintlocks, swords, rifles and daggers. The royal families of Jaipur once used most of these weapons. Later in your motorbike tour to Rajasthan visit the Jantar Mantar, which is the largest stone and marble crafted observatory in the world. Situated near the gate of the city palace, the observatory has 17 large instruments, many of them still in working condition. Visit Hawa Mahal & the colorful and vibrant bazaars (shopping district). 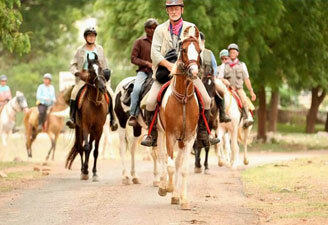 Morning half day Amer Fort with Elephant/Jeep ride (Elephant will be subject to availability). 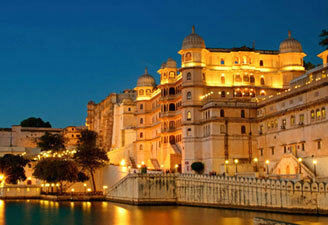 Amer is a classic, romantic Rajasthani Fort Palace. The rugged, time-ravaged walls of the Fort may not look beautiful from the outside, but the interior is a virtual paradise. Miniatures painted on the walls depict hunting and war scenes, apart from festivals. Precious stones and mirrors are embedded into the plaster. Inside the Fort visit the Jag Mandir or the Hall of Victory. Inside the Jag Mandir is the famed Sheesh Mahal - a room with all the four walls and ceiling completely embedded with glittering mirror pieces, which were specially imported from Belgium during that period. Spend the evening in Chowkidhani. Dinner in Chowkidhani in true Rajasthani style and back to Jaipur for overnight stay at the hotel. Morning leave Jaipur for Ranthambore. On arrival check-in at hotel. Morning drive to Udaipur via Raj Samand from Ranthambore. On arrival check-in at the hotel. Lunch at hotel. After lunch, rest at the hotel. Evening free for shopping in colorful Udaipur Bazaars. Morning visit the City Palace, built in 1725, which hours the Dilkhush Mahal, Sheesh Mahal - studded with glittering Belgium Mirrors, Moti Mahal and the Palace of Lord Krishna all of which are ornately decorated. Later visit the Jagdish Temple. This temple built in 1651 is dedicated to Lord Vishnu. Later visit the celebrated temple of Eklingji was built for the tutelary deity of the Maharanas of Mewar, of sandstone and marble in 734 AD. Its 108 temples are enclosed by high walls and has a paramedical roof composed of hundreds of knobs. Early morning start your journey to Ajmer. On arrival check-in at hotel and Lunch at hotel. Ajmer, the most sacred of all Muslim places of pilgrimage in India. Visit The DARGAH OF KHWAJA MOINUDDIN CHISTI, popularly called Dargah Sharif or Dargah is one of the holiest of pilgrimages for Muslims in India and people from all other faiths visit the shrine as well. Morning drive again to Pink city Jaipur via Fatehpur & Sikar. On arrival check-in at hotel. You get a last opportunity to do some shopping and carry back some mementoes apart from memories. Dinner & Overnight stay at the hotel.